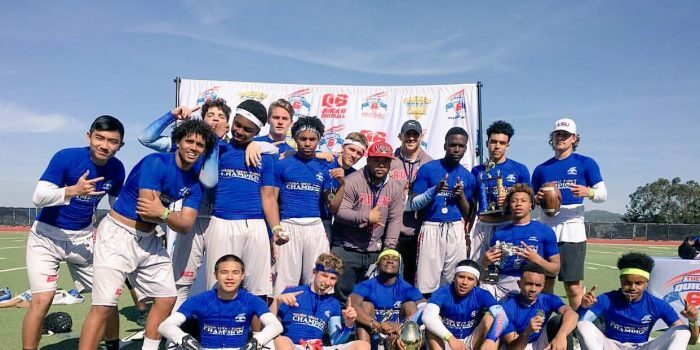 The 2018 TGSA Warrior Football Program has produce the Q6 "BEST of the WEST" 7v7 football Champions. On April 22, 2018, the TGSA Warriors won the 2018 seasons ending Quick 6 Championship tournament. The Quick 6 tournaments have been the best tournaments we have attended that provided the best West Coast 7v7 competition. This 2018 championship will be amongst our most prized program achievements, as it represents the beginning of the return of the traditional TGSA Warrior 7v7 Football. This 2018 7v7 Football season was a season of TRUE GRIT!